Complete master bathroom and kitchen remodel with new marble countertops and more in early 2018. 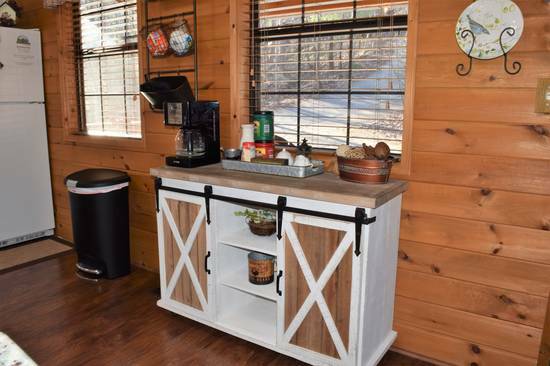 Come and enjoy this beautiful, rustic cabin where you can relax and enjoy nature. 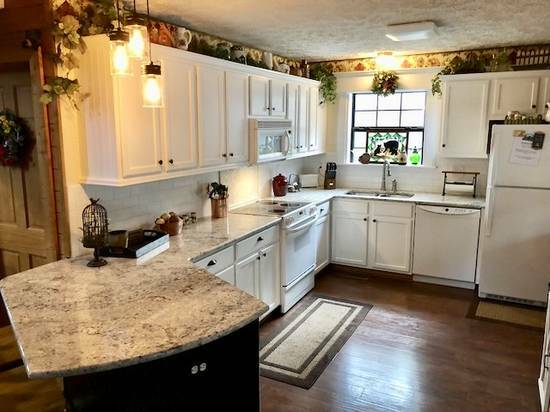 Tastefully decorated, Higher Ground looks like it stepped right out of Southern Living magazine. 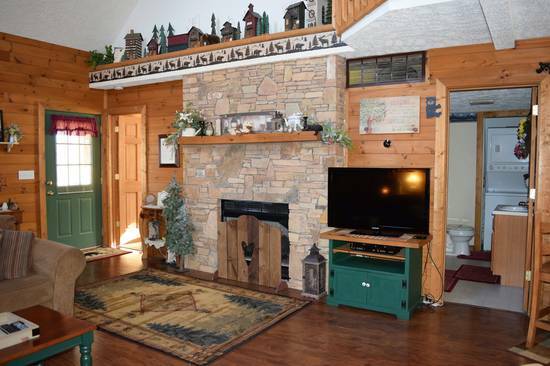 The country mountain décor gives you the feeling that you want in a mountain vacation home. 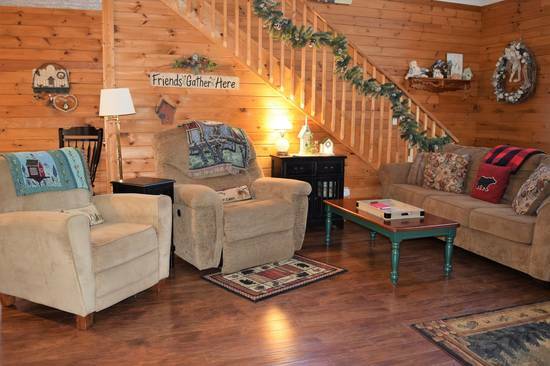 Higher Ground is a great place for 2 couples to getaway. 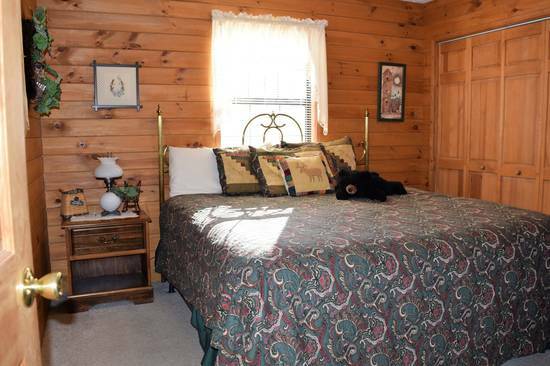 With each bedroom having a king sized bed, everyone will be comfortable. 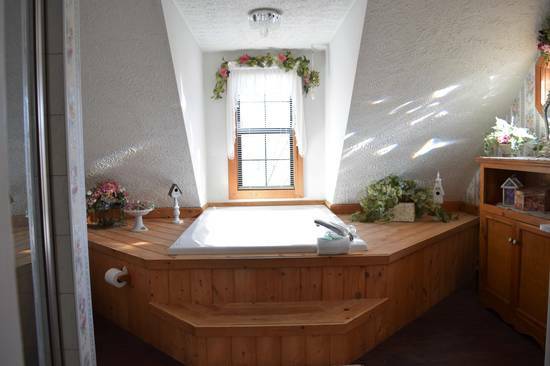 Sink down in comfort and luxury in the Master bathroom with it's own whirlpool bathtub. 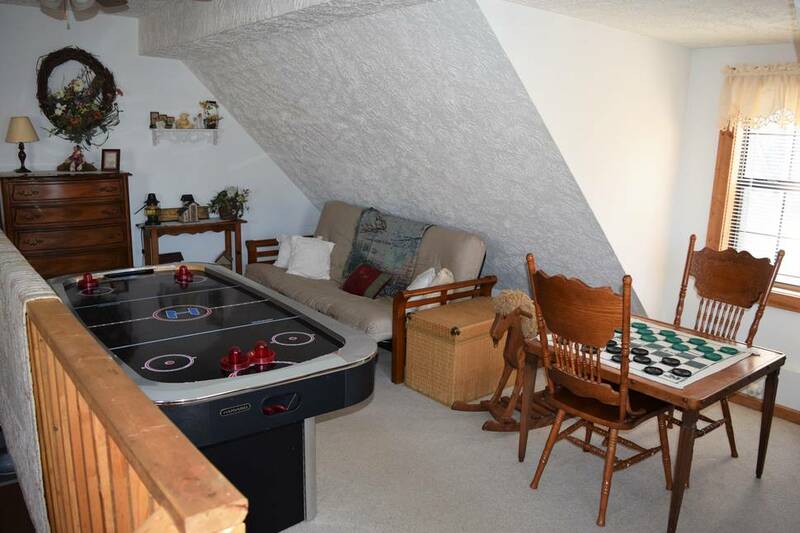 Play Air Hockey in the loft or just sit in front of the gas fireplace for the evening. Conveniently located just outside of the entrance to the Great Smoky Mountain National Park. Only 10 minutes to Pigeon Forge and 20 minutes to fun filled Gatlinburg. Want to rent two cabins close together, Check out Red Maple Ridge too. It's just 50 yards up the hill. 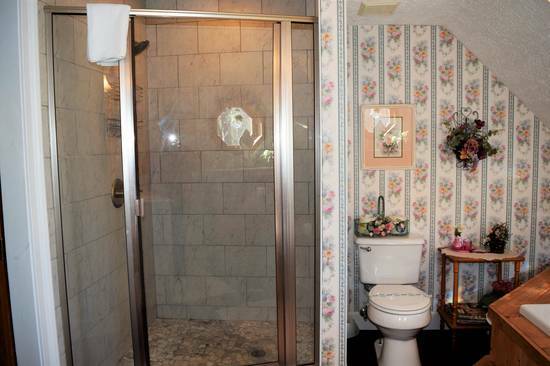 A great way to get away together but still have privacy. Lovely cabin. Very neat and clean. Well decorated and very comfortable. Driveway is steep, but manageable without snow or ice. We loved it and we will return. 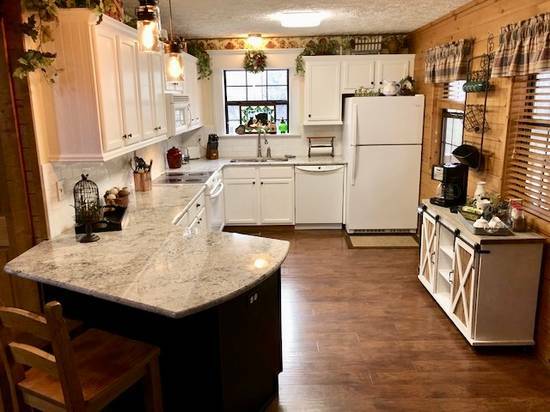 The pictures do not do this cabin justice! 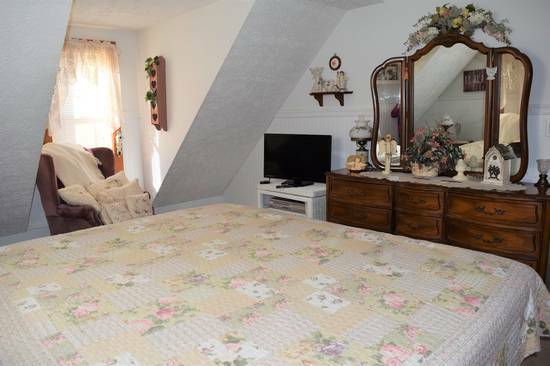 It’s very beautiful,cozy,clean,comfortable,easy access to everything and everywhere ?? It was great!! We really enjoyed it so much!! Thank you for letting us stay in your cabin! Easy reservation and check in/out process. Directions to cabin we're easy to follow. The cabin was great. The owners certainly added that extra touch. We had a great stay. No problems whatsoever. We had everything we needed. Very charming cabin! We were very surprised how updated, clean and beautifully decorated it was! Would definitely recommend it to others. We read about the steep drive ahead of our visit so we were prepared but still the first time up was a bit nervous. Would love to stay again! 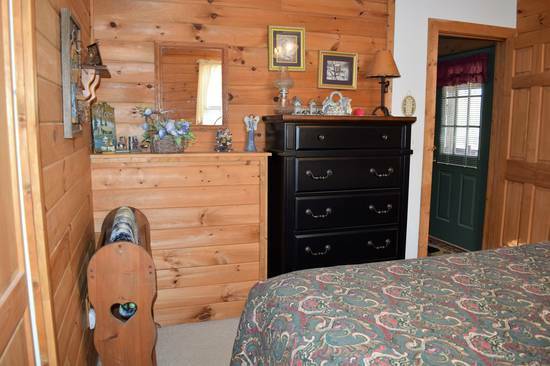 The cabin is in a nice area. It was very comfortable and everything we needed was right in the cabin. Very enjoyable stay. The cabin was easy to find and in a nice location. 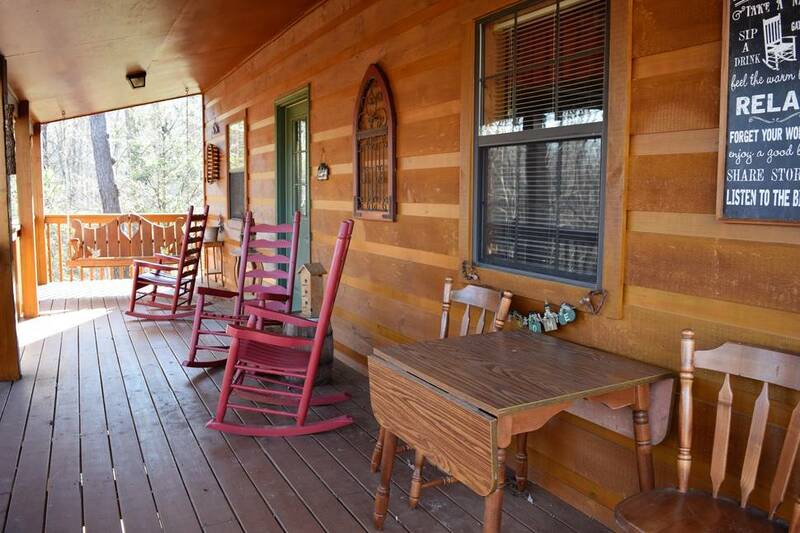 The cabin is beautiful. We enjoyed our stay and hope to return soon. The cabin was very clean. Loved the downstairs decor a lot; very cozy and just what you'd expect in a mountain cabin. 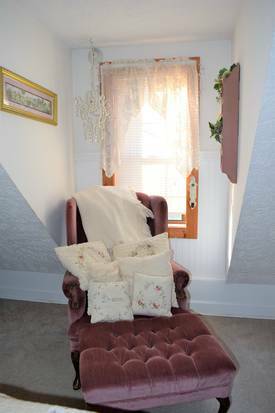 The upstairs could use updating, but it was very clean and comfortable. At this point I’ve lost count on how many times we’ve stayed with you but this was another great time. Cabin was fantastic. The only thing missing is a hot tub. See you again in September. This was our 3rd or 4th time staying in the Higher Ground Cabin, it is the nicest cabin we have ever rented in the Smokies. The higher ground cabin was perfect for our family. More than enough room for all of us, full kitchen & beautifully tucked away in the mountains. If you’re looking to ‘unplug’ this is perfect. We will definitely stay again. Terrific cabin. 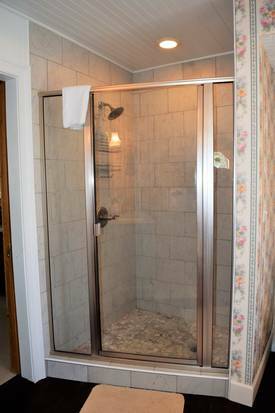 Clean, comfortable, with a great interior layout. Good privacy. Good proximity to all the stuff that portion of Tennessee has to offer. Great staff if you need assistance. 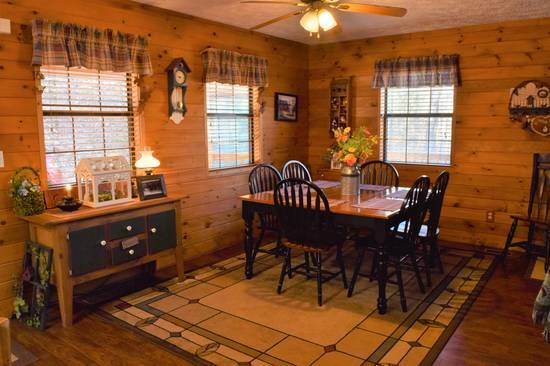 The cabin was beautifully decorated and very clean. It had everything anyone could need. Will definitely be staying again. Absolutely loved it! 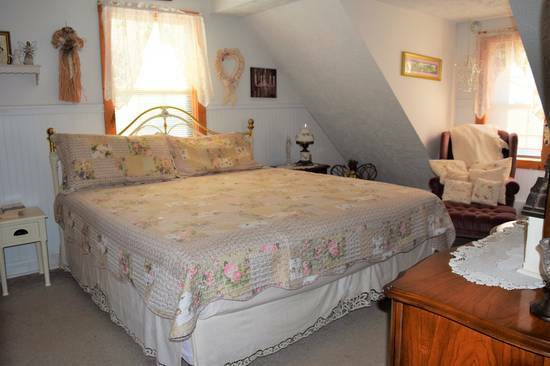 Beautifully decorated and super comfortable. Our daughters will remember spending Christmas here forever! We really enjoyed our stay and will definitely come back soon! 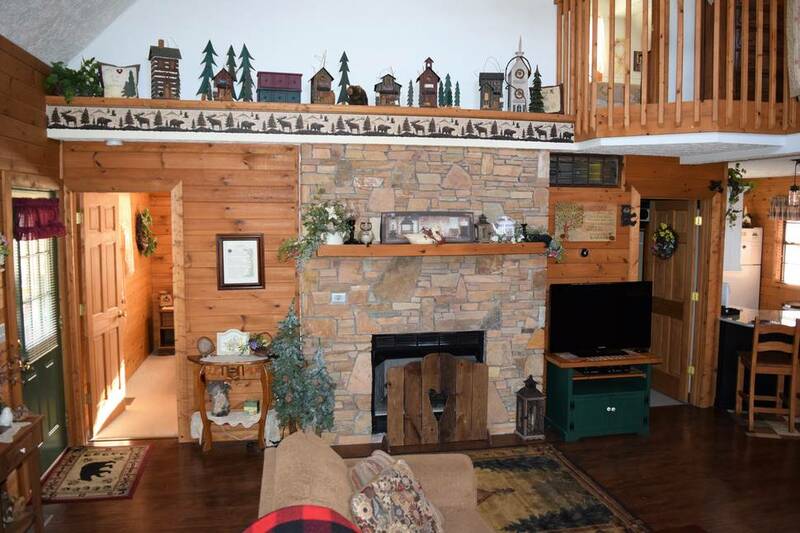 Very quiet, cozy, and beautiful cabin! We loved our stay here! Very nice and clean cabin we really loved are stay. cabin was fully stocked with everything you needed we will stay again. Gorgeous cabin.... extremley clean... and location was great. whirlpool wld have been nice but not enuf hot water to fill it up ... (disappointing) Needs a HOT TUB.. The cabin was awesome and beautifully decorated. We were very impressed. 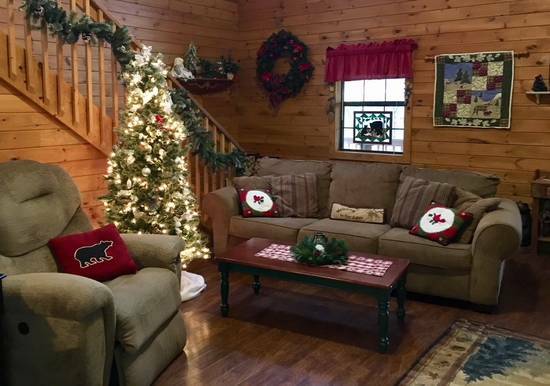 We usually try to stay in a different cabin each year. 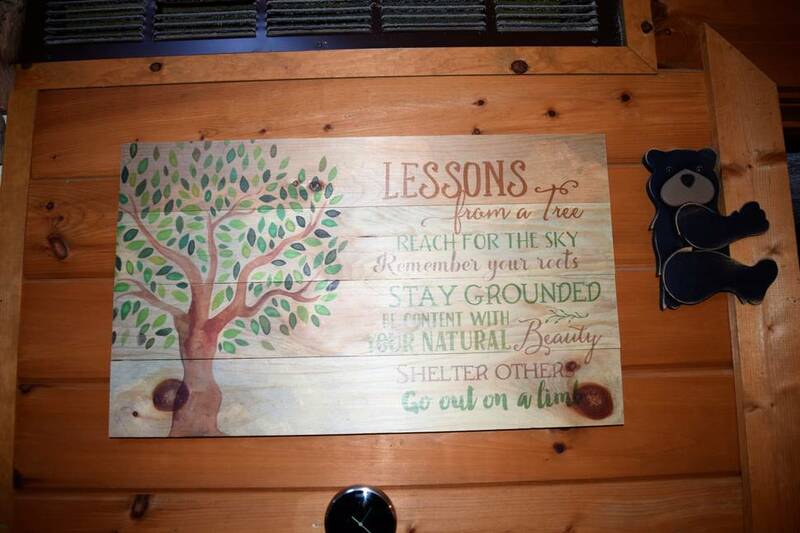 I believe we have been staying with Smoky Cabins for about 10 years. 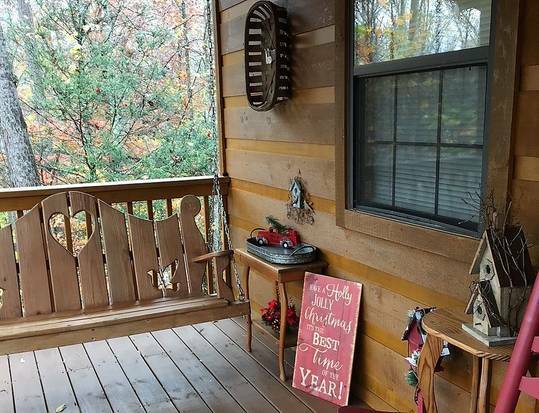 But my husband said he wouldn't mind staying in this cabin again. Wasn't too keen on the steep driveway, but the cabin made up for it. Have a great day.